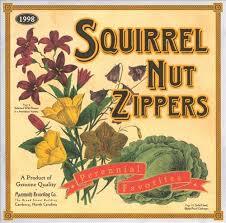 Has it really been twenty years since I first heard the Squirrel Nut Zippers? How recursive can you get to be nostalgic about a nostalgia band? Were they hipster before hipsters or are they part of the genesis of hipster-dom? Or does it all become a muddle as it doesn’t really matter? The Zippers had something going on that the other retro-swing bands did not. The Cherry Poppin’ Daddies and all the rest are grand, but Squirrel Nut Zippers truly seemed to use the music styles of the early 20th century as a jumping off point. On the other hand, I think the Fat Babies are a bit of a miracle, so I am inconsistent. The Squirrel Nut Zippers are not giving us recreations. They are working in a style to present something new. As an artist, how do you take something old and present it anew? Realistically, this is an issue more in the realm of the performing arts than the visual and writing arts. We can still read Dickens or see a Michelangelo. We certainly miss out on much of the context, but we have the originals to consider. Theatrical productions and music performances are more ephemeral, even if we have recordings. That communal experience of hearing Mark Twain give a lecture or hearing Bix Beiderbecke live are beyond us now. The closest we can come are recreations. The very nature of great artists mean that they will bring their own spin to those very re-enactments and we should not have it any other way. and that is the missing piece in our analysis when we judge work on its veracity to some imagined original. Theatrical productions and music performances are artistic collaborations. We might long to hear the message that George Bernard Shaw or Louis Armstrong intended, but those artistic statements were always filtered through their work with other artists. Henrik Ibsen and George Gershwin started from a place where their original work was going to pass through the hearts and minds of other artists. By now, we should not need persuaded that interpretation and imagination are fine approaches to classic work. The question remains whether or not the re-interpreters deliver the originator’s intended message. I watch a production of A Doll’s House and I want to know what Ibsen intended to the best of the cast and crew’s abilities. On the other hand, if you tell me that your production is using Ibsen as a jumping off point and give me something new and interesting, then I probably forgive you not delivering Ibsen’s message. So, we land with marketing… When Emerson, Lake and Palmer perform Jerusalem, it re-interpreted William Blake, but you went in knowing that you were getting Blake presented in a way unforeseen by Blake (no matter how visionary he was). You’ve Got to Check This Out is a blog series about music, words, and all sorts of artistic matters. It started with an explanation. 206 more to go.